Yes. We Buy Houses in Maryville, TN and surrounding areas. This Is How Our Process Works So Quickly. We Will Give You A Fair Cash Offer For Your House Within 24 Hours…And Next Week You Could Have Cash In Your Pocket After Closing. You don’t have to feel frustrated by an unwanted property. We can buy your house whether it’s in perfect shape or needs major repairs. And we have funds waiting for us to buy more houses. So you will not have to wait on a bank approval. Simply, you want to sell your Maryville house and we’re ready to give you a fair cash offer. Because we are house buyers. That’s what we do. It’s Great You Have Helped Others…But Can You Help Me In My Situation? Yes We Can! How To Sell My House Fast In Maryville, TN. Are you in a hurry to sell a house? Call us because we buy homes fast. We help property owners just like you, in all kinds of situations. From divorce, foreclosure, death of a family member, burdensome rental property, and all kinds of other situations. We buy houses in Maryville and surrounding areas and pay a fair cash price, fast. Tired of putting up with the hassle of owning a property? Do you wish you could skip the time consuming process of waiting months for a real estate agent to find a buyer? We can help. 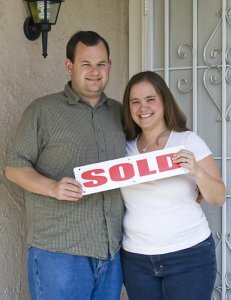 We buy houses directly from homeowners in Maryville, TN. Call us at (865) 935-8680 and we’ll explain how we can help you and your specific situation.